1999 Kendrick Trainwreck Climax. 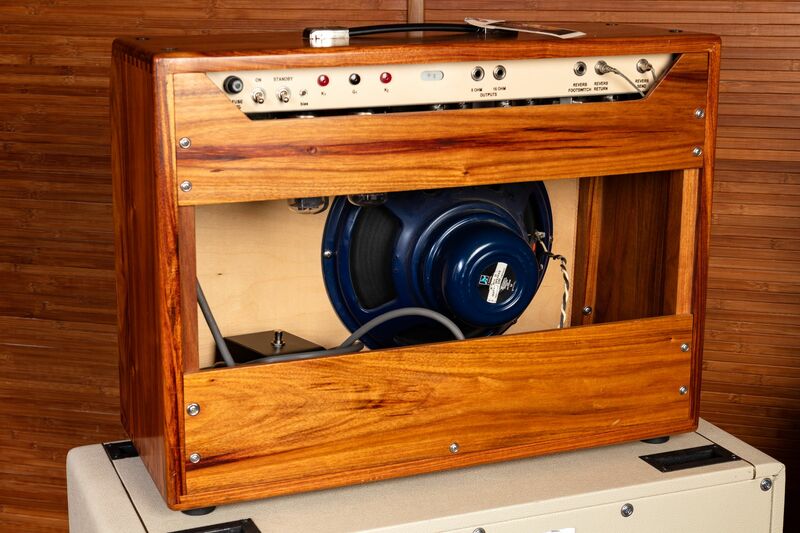 These amps were built by Gerald Weber of Kendrick Amplifiers in close collaboration with Ken Fisher utilizing Ken’s very specific designs. In fantastic condition and sounds as good as it looks! 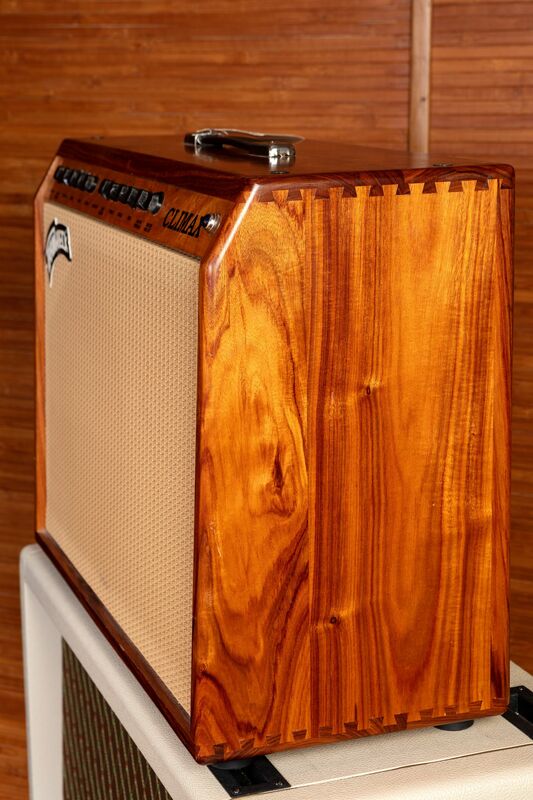 Gorgeous Canary wood cabinet; chosen for both its stunning looks and superior sound. 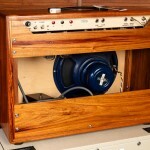 Fitted with a 12″ Fane Alnico speaker. 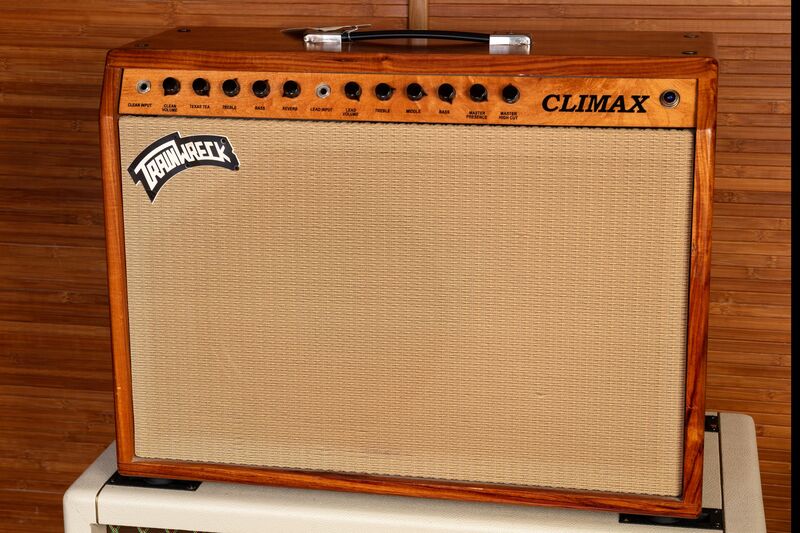 This amp sounds incredible with both amazing cleans and a rich, boutique tube overdrive. 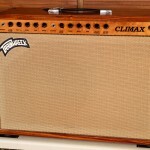 The Climax achieves the famed Trainwreck tone at a bargain! 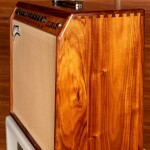 This amp can be used with any combination of power tubes, including EL84s, EL34s, KT66s, 6L6s, and allows you to self-bias the amp; a very unique and original idea. This one has two KT66s. It has two channels. The first channel is warm and clean with reverb, has clean volume, a knob that says Texas Tea, and treble, bass, and reverb. The other channel has master volume, master presence, master high cut and lead volume, treble, middle, and bass, sounding like a good combination of Marshall and Vox.